Regina Certified Auto & Recycling Ltd has been providing quality new, used & aftermarket parts to Regina and surrounding area since 2005. We sell quality parts for all makes and models of vehicles. Our staff has great knowledge in parts and service. We offer a full selection of new and used auto parts to help you keep your automobile running. Whether you are looking to purchase new brake pads or a used starter we can help. Reduce your auto maintenance costs by purchasing used auto parts. 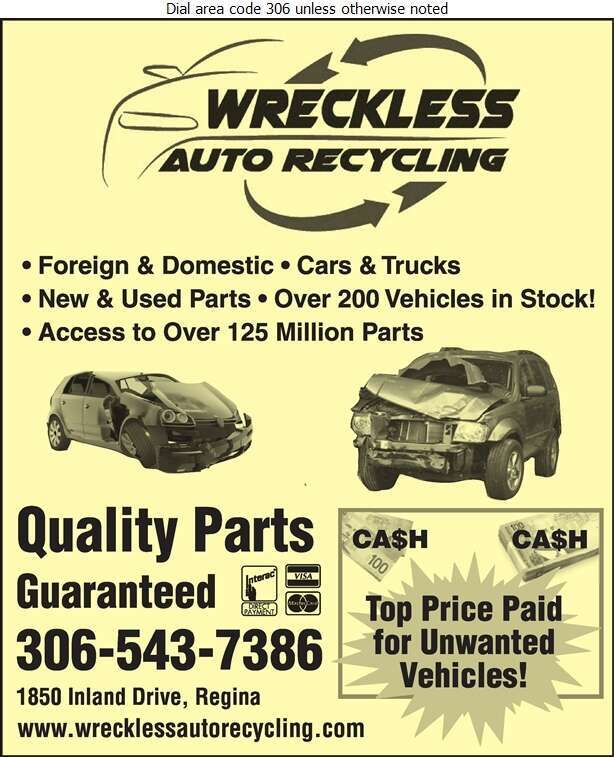 Trust Regina Certified Auto & Recycling Ltd. for all your auto parts needs.